The Probus Coffee Club meets at 10am usually on the last Wednesday of each month in the Lower Pavilion Room of the Bradman Museum and International Cricket Hall of Fame in Bowral. 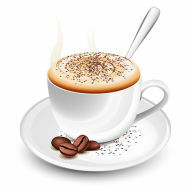 Attending members enjoy a cup of coffee/tea and an enjoyable discussion for about an hour. This is a very popular function and all members are invited to attend and participate.